Have you been living in a rented accommodation and are you planning to move out it in few days time? Are you worried about the condition of your apartment and you fear that your landlord may raise objection to poor maintenance and lack of cleanliness? Finding the right cleaning solution begins with finding the right agency. You have found yourself the right agency that will take care of your cleaning needs. We are one of the most reputed cleaning companies in Hanwell W7 and we are specialized in end of tenancy cleaning. Our program has been designed to look into and tackle cleaning woes of people who stay in rented accommodations. Cleaning up of the property is extremely important when you about to move out. You should not expect the letting agent or property owner to do the entire clean up. This is certainly not desirable, and it is your moral obligation to clean up the place before the new tenants move in. Consider yourself being offered a house filled with filth and rubbish left behind by former occupants. General cleaning: we dust, and vacuum away dirt and soil from hard surface such as floors, walls, door and window frames, mirrors, railings, sills, and entrance. 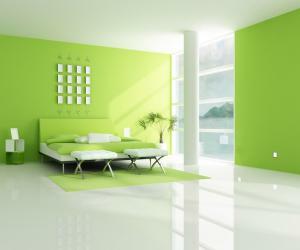 We will scrub, wash and polish the entire area to make it look radiant and bright. We will remove dust from the carpets, curtains, upholstery and mattresses. Hygienic bathroom: we will not just clean and scrub the bathroom floors we will disinfect it as well. Our cleaners are fully trained to deal with highly specialized cleaning of the most difficult area of the house. Our cleaners with their top class cleaning agents will render your bathroom spotless. Kitchen: kitchen area can again gather lot of dirt mixed with grime, our cleaners will target these stubborn stains and oil and make it sparkle. Tiled walls and floors will be polished to bring out its hidden shine and luster. 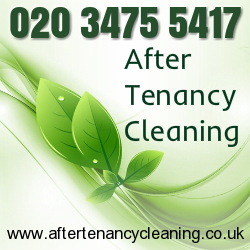 Call us today and book the most affordable end of tenancy cleaning service. In Hanwell, London our moving out cleaning services company will ensure when you are leaving the rental property or when you are preparing it for new tenants you will receive high quality cleaning service. We offer rather standard package of services that cover the normal needs of a rental home. Still in case you have special requirements do not hesitate to share them with our operators, so our cleaners can be prepared with all the equipment and cleaning products needed in order to satisfy fully your requests. Copyright © 2019 After Tenancy Cleaning London. All Rights Reserved.